Over my 34-year career, I have heard some wild audition stories: candidates on the stage who can hear other candidates warming up, a panelist takes a phone call during an excerpt, an auditionee’s music falls off the stand and scatters, the proctor has a coughing attack during a candidate’s solo, and so on. These stories are always hard to hear because they are unexpected variables for a musician who has put in hundreds of hours and most likely dollars of preparing for and getting to an audition. Think back to your own auditions. What have been your craziest audition stories? Recently I have been hearing a very interesting audition trend surrounding the time slot given for the audition versus the actual time they are called to perform from many of my clients and their colleagues, occurring at every level, from regional orchestras to the big Five Orchestras. Candidates show up for their scheduled time and are told the audition is running over 30 minutes early and they will be next. Other candidates have been told the audition is running ahead, but then the committee takes a long break while the candidate sits back-stage unsure of when they will play. Other scenarios include auditions running hours behind. This musical curveball thrown at auditionees surround the actual time of their audition compared to their assigned time means that an auditionee has to manage when to eat, how to keep their mental energy high, and how to be warmed-up but not overly warmed-up. I personally know several musicians who were well prepared and ready to win, except for questionable actions taken by audition panels, personnel managers, or proctors. Actions like having candidates wait for extended periods after lunch breaks or being called abruptly way ahead of schedule without fair warning or time to warm up. I think musicians can learn a lot from the world of baseball. 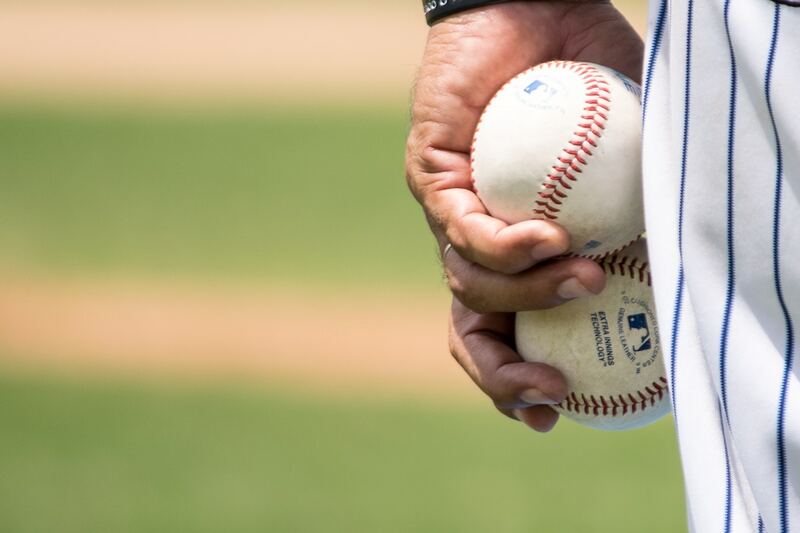 Auditioning musicians, like major league baseball players, need to anticipate routine circumstances as well as the unexpected and prepare properly for both. When I worked with the Texas Rangers as a sports psychologist, I found that the main problem that batters experienced was hitting everything but straight fastballs, even though they came in at 97 mph. The other pitches included curveballs, as well as cutters, sliders, sinkers, screwballs, knuckleballs, and change-ups. The equivalent of a straight fastball for musicians is a professional audition that is running right on time, and adhering to all the correct procedures, protocol, and common courtesies. In this ideal scenario, all the musicians have sufficient time to warm up properly and do not have to wait very long after their assigned time before they are politely called. This is the scenario that musicians spend the majority of time preparing for, and rightfully so, but it is not adequate training for less-than-ideal circumstances. There are four other audition scenarios that involve schedules that are not running on time. These scenarios are more likely and involve the audition running way behind schedule, ahead of time and then behind, way ahead of the assigned time, and behind and then far ahead of schedule. Like batters preparing to hit both fastballs, curveballs, and sliders, musicians need to plan for ideal conditions and when there are change-ups. Baseball players routinely scope out the opposing pitchers. They watch them warming up in the bullpen and when they are pitching to other hitters. They get a feel for the pitcher’s timing, habits, and routine. After that, once they are at the plate, the idea is to trust in their talent, training, and skills, so they can react to the pitch, whatever it is, without overthinking. Musicians similarly need to get as much advance information as possible about the organization that they plan on auditioning for. They need to research the orchestra’s audition rules and policies ahead of time. They should investigate the way the organization has held auditions in the recent past, how closely they adhere to the schedule, and whether they are known for throwing curveballs. If the audition is running properly and on time, plan on starting your warm up long before your assigned audition time. Allow sufficient time to drink fluids, and eat something if you feel that it will be digested before you start to perform. I would also suggest that you keep your self-talk positive or quiet, do some mindful breathing, imagine yourself performing well, and if you know how, get Centered before you go on stage. After that, trust your talent, training, and skills, so you can play without overthinking. When the audition is running way behind schedule, eat only if you feel that there will be enough time to digest it. Go through your full warm-up routine and mental preparation. Then take a break and chill out for a while. Before your energy drops too low though, get up and move. If possible, go outside and get some fresh air. Breathe deeply. Once back inside, ask the proctor to warn you when there is sufficient time for you to do a second, shorter warm up before you go on. In the meantime, try to hang loose. If the audition is at first ahead of schedule and then running behind, take a few minutes to take it easy before you start to warm-up. When you feel ready, begin your full warm-up routine and mental preparation. Then, take a break. You can drink fluids, but carefully choose what you eat. If you feel your energy dropping too low, get up and move, ideally outside. Then ask the proctor for a heads up for you to start your shorter warm-up routine. Until then, be cool with a minimal expenditure of physical or mental energy. Save it for your performance. The final two scenarios are when the audition is running way ahead of schedule, or the audition is behind schedule and then suddenly ahead, and you are called without warning or any time whatsoever to warm up. To properly prepare for these all too likely scenarios, you need to do this training for at least one week. All five possible audition scenarios involve time and three factors that need to be taken into account in advance. The big three factors that can save you from a curveball at an audition include food, mental strategies, and your warm-up routine. You need to decide ahead of time what you are going to eat and when you will do so. Regardless of what you eat, you should stay hydrated. A good rule of thumb is to make sure you are drinking half of your body weight in ounces of water per day. This means water, not tea, coffee, sodas, or even Gatorade. Simple meals are the best. In regard to mental strategies, these involve your inner dialogue, mental rehearsal, and relaxation techniques. Make sure to practice these activities before the audition and then to use them throughout your audition days particularly when time variables are thrown at you. The warm-up routine is crucial because it should help put you in the right frame of mind. For winds and brass players, there is the possibility of over-warming up and under-warming up. Have an honest chat with the proctor and ask to be notified at least 10-15 minutes before you are supposed to go on stage. Even if you have to sit for a long period of time, at least you will have an idea of when you may go on stage. For a minimum of seven days before you go to bed, put your instrument in a safe but readily accessible place. Decide what piece of music you will play for about three minutes shortly after you wake up. Also before that, set up a video recorder, or at least an audio recorder, in the appropriate place, ready to be turned on. Whatever time you get up, give yourself about 3-5 minutes to warm-up. Then within 30 seconds of finishing, turn on the recorder, pick up your instrument, take a deep breath, and start to play to the best of your ability. Once you start, do not stop until you have played for at least three minutes. Then turn the recorder off. Do not watch or listen to the recordings until you have completed the exercise for seven days. Then you can watch your progress from the beginning. After you do, you’ll be ready for whatever curveball or change up that the audition panel, personnel manager, or proctor may throw at you. If you want to dig deeper into your own audition training and prepare for any curveballs, I would recommend enrolling in my Centering Course. The Centering process has proven to be effective in training elite performers, like major league hitters and musicians, to focus under pressure and turn change-ups into home runs and successful auditions.